CYBORG SUPERMAN: Hank Henshaw, or the real Hank Henshaw, was the head of the D.E.O. before J'onn J'onzz took his identity. He was thought killed after Jeremiah Danvers threw him off a cliff saving the life of J'onn. Laying on the ground near death, Cadmus found Hank and brought him back using alien technologies. He is now filled with anger and rage against aliens, especially J'onn, Supergirl and Superman. He has super strength, speed and perhaps other powers. In his hate, he has renamed himself, The Cyborg Superman. 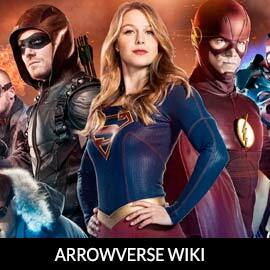 For more on the Cyborg Superman, check out our parterns at ArrowverseWiki.